“OCEANAIR CONSOLIDATORS sarl” AIR CARGO DIVISION has been created to service requirement of both the existing LEBANON projects, road and sea freight divisions and that of “OCEANAIR CONSOLIDATORS sarl” overseas agents. With a full range of air logistics solutions, airfreight shipments are planned, controlled and measured according to Cargo 2000 procedures, meaning your shipments are monitored from door-to-door within our network of agents. 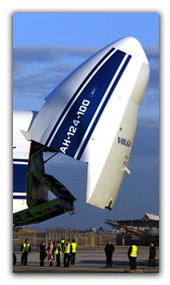 We also offer out of hour delivery for perishable cargo and special project shipments.